Gail Brett Levine, independent personal property appraiser, has been in the jewelry trade for 40 years. Initially starting as president of an antique shop in Alexandria, VA, Presidential Antiques Co., Inc., she specialized in antique, period and estate jewelry. 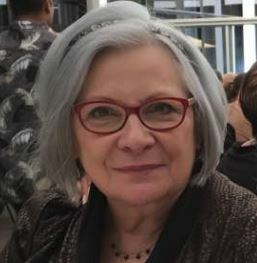 She received her GG in residence (NY) in 1980 and currently serves on the Executive Council of the GIA Alumni Association as well as an officer of the Manhattan Chapter of the GIA Alumni since 1982. She has been a Board member and Treasurer of the American Society of Jewelry Historians, Board Advisor of the Gem-A USA, Past President of the Board of Directors of the International Society of Appraisers, 1996 - 1998, and served on its Board for five years. Ms. Levine is President of Timeless, Inc. (1982 to present) specializing in insurance, estate, claims and donation appraisals of antique, estate and contemporary jewelry, precious metals and loose diamonds and colored stones and gem consulting. In 1994, she started her subscription based publication Auction Market Resource for Gems and Jewelry which is an in-depth report by qualified appraiser/gemologists of sales results of jewelry at auction which previews gem material. In 2005 Auction Market Resource ceased publications to become totally on the internet as www.AuctionMarketResource.com. It is currently recommended by most appraisal organizations. In 2008, Ms. Levine revised, updated and expanded Gem & Jewelry Appraising: Techniques of Professional Practice written by Anna Miller, GG. On March 2004, Ms. Levine accepted the position of Executive Director of The National Association of Jewelry Appraisers (NAJA) - the largest membership association specializing exclusively in gem and jewelry appraising and related appraisal issues.